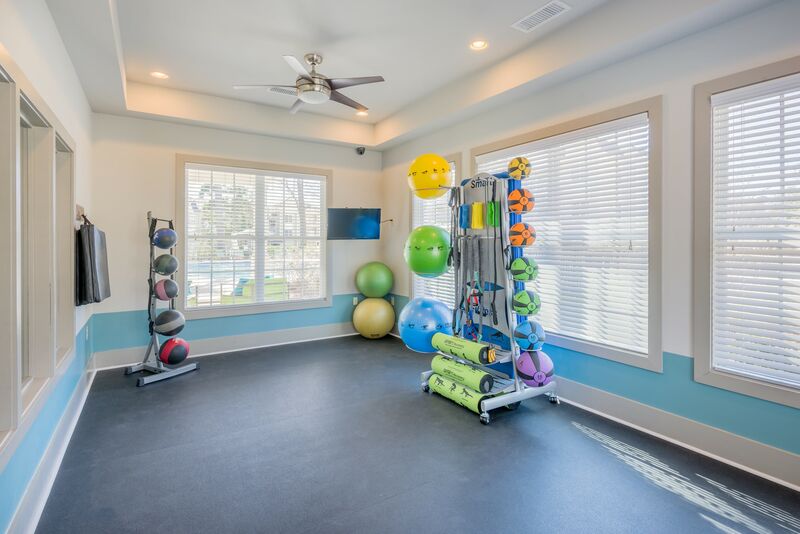 Discover a number of luxury amenities when you rent a one, two, or three bedroom apartment from Arbor Village in Summerville, SC. Find yourself relaxing by our swimming pool on designer lounge chairs while you soak up some sun rays. Wake up and grab a cup of coffee at our coffee bar, then head to the yoga studio and greet the day with a few sun salutations. Let your pup enjoy some off-leash play time at our onsite dog park. Plan a barbecue with friends and family at our grill and picnic area. Arbor Village has everything you need to live the lifestyle you’ve always deserved. Open layouts, featuring 9-foot ceilings with crown molding, create a beautiful backdrop for you to curate. Fill your apartment with the things you love and make it a space you look forward to coming home to. You will enjoy cooking in your open kitchen with handsome mocha cabinetry and sleek stainless-steel appliances. A dishwasher makes cleanup a cinch. Walk-in closets help you stay organized and provide plenty of space for all of your essentials.At Arbor Village, our luxury apartment features will enhance your everyday. Want an in-person look at our premium features and amenities? Call us today to schedule your tour of our community in Summerville.